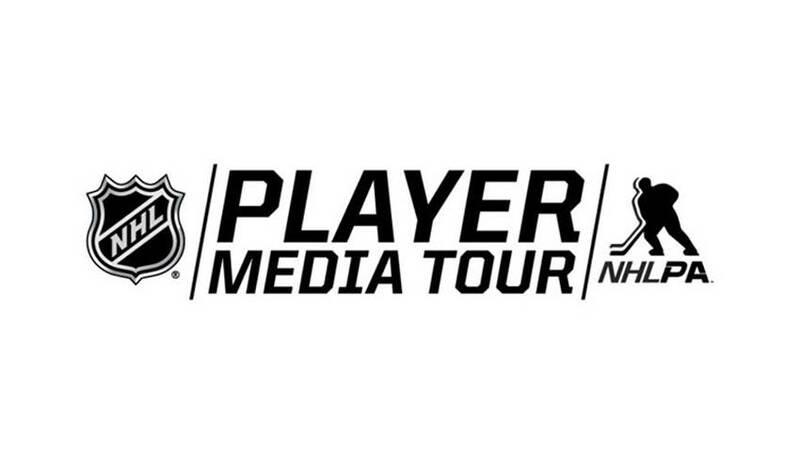 The 2015-16 Player Media Tour brings 40 of the games biggest names to Toronto for annual media junket. With the 2015-16 NHL season just around the corner, some of the biggest names in the game arrive in Toronto this week for the annual NHL/NHLPA Player Media Tour. This two-day event is a crucial opportunity for players to partner with broadcast rightsholders and other prominent media from around North America for some in-depth access prior to the start of the NHL 2015-16 regular season. A list of approximately 40 players, including Sidney Crosby, Jonathan Toews, Steven Stamkos, Duncan Keith, Henrik Lundqvist, Tyler Seguin, Anze Kopitar and Evgeni Malkin will take part in the various video shoots and interview stations as part of this annual event that began in 2008. Players attending the two-day event will take part in a variety of activities, including on-ice video work with broadcast rights holders and materials for internal and external use by the NHL and NHLPA. Players will also take part in photo shoots for a variety of high-profile magazines, both hockey-themed and otherwise. They will also do television, radio and print interviews with prominent North American media members representing publications/organizations such as Rogers Sportsnet, NBC, ESPN and TSN. The event, which traditionally takes places in New York, is being held for the first time in Toronto, due in large part to the World Cup of Hockey announcement scheduled for Wednesday, May 9, at the Air Canada Centre, home of the Maple Leafs. With puck drop on the international hockey tournament slated for one year from the day of the World Cup media event, several players at the NHL/NHLPA Player Media Tour will also be on-hand for that press conference. The third edition of the World Cup – the U.S. won the inaugural tournament in 1996, Canada was victorious in 2004 – will see the entire tournament played in Toronto at the Air Canada Centre. With training camps set to open next week, the NHLPA/NHL Player Media Tour is the unofficial puck-drop on the 2015-16 season and everyone is eager to get things underway.